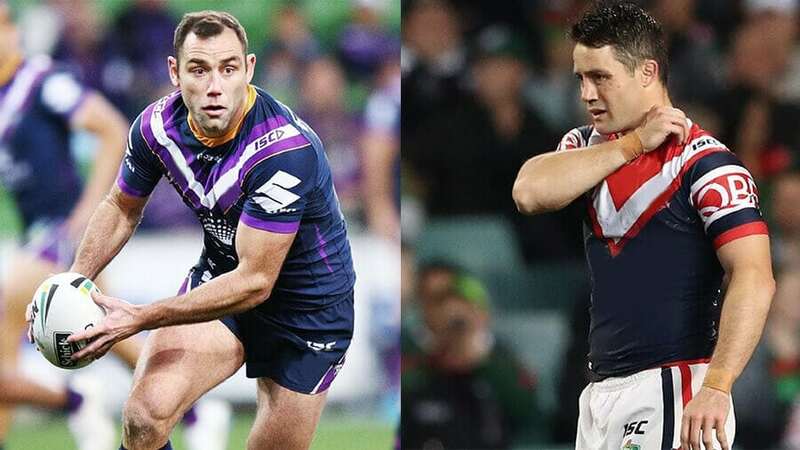 The two best teams have progressed to the 2018 NRL grand final: Melbourne Storm v Sydney Roosters – it shapes as a classic! Palmerbet Sports Team runs through the key questions and permutations that will impact your NRL tips ahead of the big one. 1. Does Slater’s reprieve guarantee the Storm victory? It’s the decision that divided the game and overshadowed the first half of NRL grand final week. But the upshot of retiring fullback champion Billy Slater’s controversial shoulder-charge exoneration is Melbourne having one of the greatest big-game players of all time on deck for the decider. Slater has played in six grand finals, winning four, and is one of only two players to have won the Clive Churchill Medal twice. He was the missing ingredient against Cronulla in the Storm’s 2016 grand final loss; 12 months later he was adjudged best-on-ground as they defeated the Cowboys. Though he is hanging up the boots, Slater remains at the top of his game. He was head-and-shoulders (excuse the pun) above every player on the field in last week’s preliminary final, scoring two tries, setting up another…and controversially saving one. Punters are all over Billy, driving him into equal Churchill Medal favouritism with Cam Smith at $5. He’s also just outside the top-five First Tryscorer contenders at $12. There’s a juicy $2.62 on offer for Slater to score his 191st try in his last game. The judiciary call has been a major factor in the Storm being backed into $1.67 favouritism and shifted the balance of experts’ NRL tips. The Storm are a healthy 9-3 without Slater in 2017-18 – but they’re a much better team with him there. 2. Can Roosters win with an underdone Cronk – or without him at all? The biggest storyline on the Roosters side of the grand final fence is Cooper Cronk’s rotator cuff injury. He was a passenger for the second half of the prelim, yet his influence was still palpable. Mitch Aubusson was named in the No.7 on Tuesday with Cronk in the reserves, but it’s unlikely we’ll know if he’s playing until grand final night. Trent Robinson has myriad options if he needs to reshuffle his spine. Or he may gamble on sending a compromised Cronk into battle against his old club – and the NRL’s most ruthless. The 2012 Churchill Medal winner and a perennial favourite under normal circumstances, Cronk has blown out to $29 to claim the honour this year. That suggests if he does play, he’ll be well short of his best. The Roosters have played just once without Cronk since he arrived at the club, beating the Titans 20-12. That’s not much of a sample size. But tellingly, the Storm won just seven of their last 20 minus Cronk before he left Melbourne. He’s racing the clock to play in his eighth NRL grand final. The doubt over him playing – and the assumption he’ll be ineffective if he does – has seen punters back off the Tricolours, who are now $2.24 outsiders. The alternatives – Aubusson, Matterson, Momirovski, Radley – are capable but untested. Cronk’s absence would pile the pressure on Luke Keary. 3. How crucial is Melbourne’s grand final experience advantage? Lining up for their third straight decider, it’s little surprise Melbourne have the grand final experience advantage. The Storm boast 36 grand final appearances in their line-up. Just three are on grand final debut, while there are 13 survivors from their 2017 triumph. The Roosters have just 16 appearances – with seven of those belonging to the in-doubt Cronk. Eleven of their named 17 have never been to the big dance. But is that discrepancy enough to justify the $2.48 for a 1-12 Storm victory or $4.20 for 13+? The last decade of NRL grand finals makes for interesting reading as far as experience goes. The teams whose players have more collective grand final appearances are a modest 5-5 in the last 10 deciders – and just 1-4 since 2013. But experience on the biggest stage was arguably a significant factor as the Storm swamped the fairytale Cowboys last year. There’s also another intriguing trend, though, with the club that has waited the longest for a premiership out of the two combatants winning the last five grand finals. That brings the Roosters’ $3.20 for a 1-12 win back into the NRL tips frame. 4. Which rookies will thrive or falter? Both teams boast a pair of relative NRL novices in their ranks ahead of the big one. Brodie Croft is in Melbourne’s No.7 hot-seat in just his 17th first-grade appearance. Touted as the long-term replacement for Cronk, he played the first five rounds this year before spending three months in reserve grade. But Croft fought back to claim the halfback spot again on the eve of the finals. The confident youngster is a tempting $17 in the Churchill Medal stakes. Teammate Brandon Smith will likely come off the bench as a back-rower but is also Cam Smith’s dummy-half back-up. The Roosters’ two rookies – Victor Radley and Paul Momirovski – are both a chance of being pitched into the five-eighth role. Both can fill multiple positions. Radley, named at lock, is a $41 smoky for the Churchill Medal. 5. Can the Storm’s centres stop Mitchell and Manu? Will Chambers and Curtis Scott rank among the NRL’s best centre pairings, playing a key role in the Storm’s 2017 triumph. But they have their work cut out against brilliant Roosters duo Latrell Mitchell and Joseph Manu. Mitchell snatched Chambers’ long-held mantle as the best centre in the game after giving him a bath during the Origin series. The 21-year-old’s form has only blossomed since, and he was the standout in the Roosters’ finals win over the Sharks. With Mitchell suspended, Manu stepped up brilliantly last week on both sides of the ball. He was a clear man of the match as the Roosters ground down the Rabbitohs. Mitchell has been backed into $10 in the First Tryscorer stakes, $2.50 as an Anytime Tryscorer and $9.00 to bag a double. Manu is a handy $15 as First Tryscorer and $3.60 Anytime. But the wily Chambers has played 190 NRL games – including four grand finals – and is a proven big-game player. No centre has ever won the Churchill Medal – could this be the year with so many guns on show? Mitchell ($15), Manu ($67), Chambers ($67) and Scott ($81) all represent outstanding value.